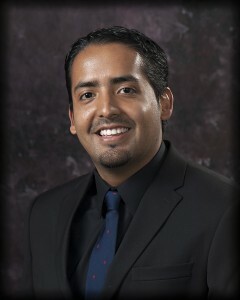 Juan Paramo is a Process Design Engineering Specialist. • Design, develop, and commission custom software industrial machine control and interface applications. • Fulfill engineering responsibilities in electromechanical design, prototype manufacturing, assembly and testing for self-directed engineering projects. • Participate in customer interviewing and requirement gathering, in order to prepare proposals, assessments and scopes of work to deliver industrial environment type projects. • Perform solution domain research, conceptual design and customer presentations/discussions. • Conduct the specification of hardware/software components, suitable solutions to improve processes in industrial applications using industry standard continuous improvement frameworks. • Accomplish supplier search and negotiation to ensure timely project completion dates/results/follow ups. Juan’s expertise expands Electromechanical Design, Prototype Manufacturing, assembly and testing, and software development. • Development of Automated Pavement Tester. Responsible for the real time control system design, implementation, and testing of an automated pavement testing machine. • Retrofit of Automated Urethane Dispenser. Responsible for the real time control system design, implementation, and testing of a multi-resin urethane dispenser. • Deburring Robotic Work Cell. Responsible for the design, integration and commissioning of a production robotic system to handle extruded aluminum rails. • Development of MAGS Surgical Instruments. Responsible for miniaturized design, assembly, and testing of mechanical components. • Development of Automated Paper Void Fill Equipment. Responsible for design, assembly and testing of an automated paper void filling machine. Juan received his Bachelor of Science Degree in Manufacturing Engineering Technology and Mathematics from Midwestern State University in Wichita Falls, Texas. He received his Master of Engineering in Industrial Engineering and a Master of Science in Computer Engineering both from the University of Texas at Arlington in Arlington, Texas. Manufacturing Engineering Intern – ABB Inc.